This has been a brutal post Debt Ceiling Debate Agreement -week in the markets, eight consecutive down days resulting in a drop of 6.76% for the S&P 500. Then on Wednesday, with the market down nearly another 1%, the market turns and rallies into the black by about a ½% for the day on strong volume. Today we’re looking at another 2% sell off. So what happened on Thursday to cause a short term reversal? Could it be news that if the market had finished lower, it would have set a nine day losing streak, not seen since the days of Jimmy Carter? I’m not usually one to jump on conspiracy theories, but here’s how I see it. On several occasions Federal Reserve Chairman Ben Bernanke has mentioned how important a rising stock market is to jump starting the economy. The last thing the Fed needs now is another stock market crash with the economy on life support after the GDP revisions from earlier this week. The last thing this President needs is any comparisons to former President Jimmy Carter’s administration as we head into an election year. Coincidently (or maybe not), we see a huge infusion of cash in the market. What’s this mean to investors now? 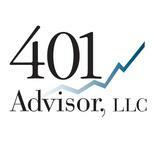 All I can say is what we at 401 Advisor, LLC are doing now – which is selectively selling positions in our portfolios to raise cash, and as of today we are buying SH – ProShares Short S&P 500 ETF. By the end of the day we should be about 10% short the S&P 500 and have another 15% or so in cash, depending on our overall strategy. Dividend portfolios have held up well so we will remain more fully invested, and collect our dividends, unless we see a stronger economic downturn than indicated now. But I wouldn’t hit the panic button just yet. Gold’s rally is an indication that just about everyone now expects QE III. The market has rallied strongly on the heels of QE I and QE II. We’re only off 10% from our highs this year. 10% is just not a major move – yet. Be cautious. Below is a graph of our results of our Dividend and Income Plus Portfolio at Covestor.com. Our portfolio is represented by the Green Line, the S&P 500 the Purple Line. This account mirrors client portfolios that we manage in our office. We are still positive for 1 month, 3 month and 12 month performance, and only down -.01% month to date. Just an indication that what you own matters in this environment. Conservative investors are still in control in this market.